When it comes to engagement ring preferences, most women are particular about one crucial element: the shape of her diamond. 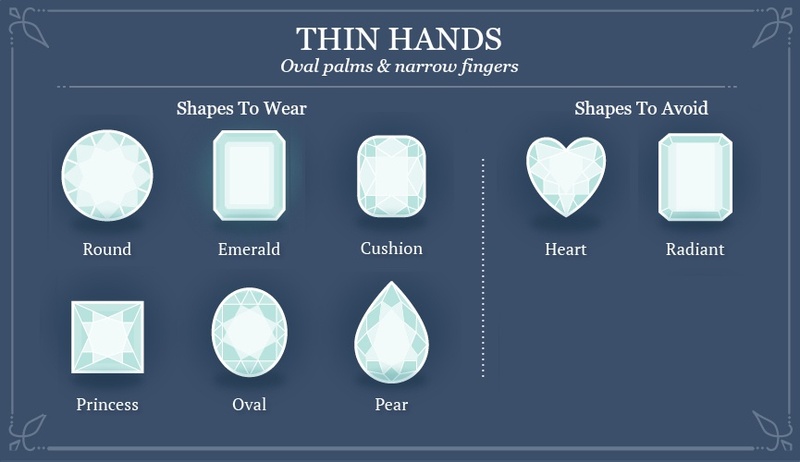 There are ten basic cut shapes for diamonds: round, emerald, princess, cushion, asscher, heart, marquise, oval, radiant, and pear. The challenge lies in choosing the right one. 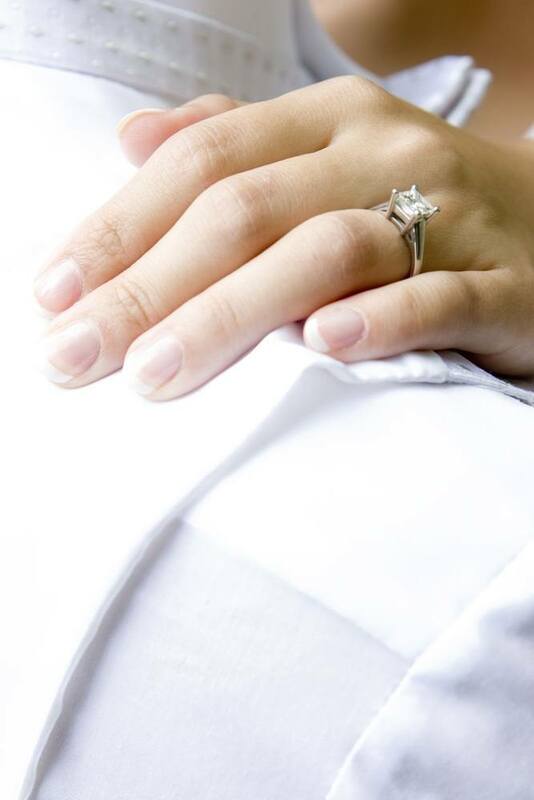 If she has square-shaped palms with short fingers, go for a smaller sized diamond. 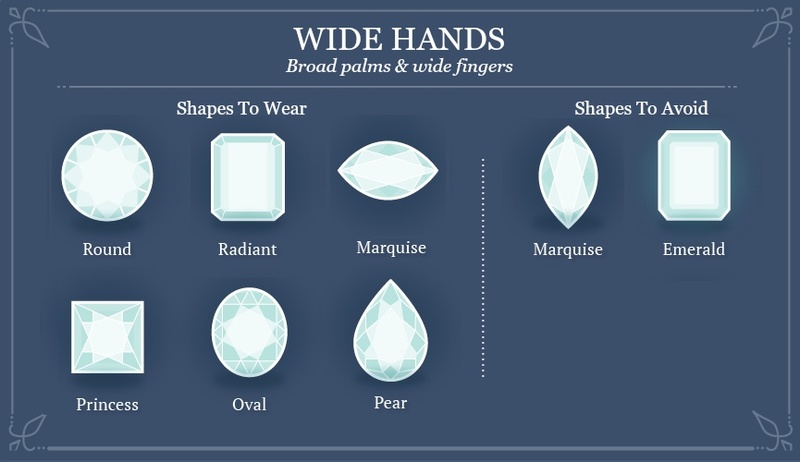 A shorter, tiny hand looks best with a smaller-sized gem because then everything appears to be delightfully proportioned. Don’t worry; this doesn’t mean her diamond will be dinky. 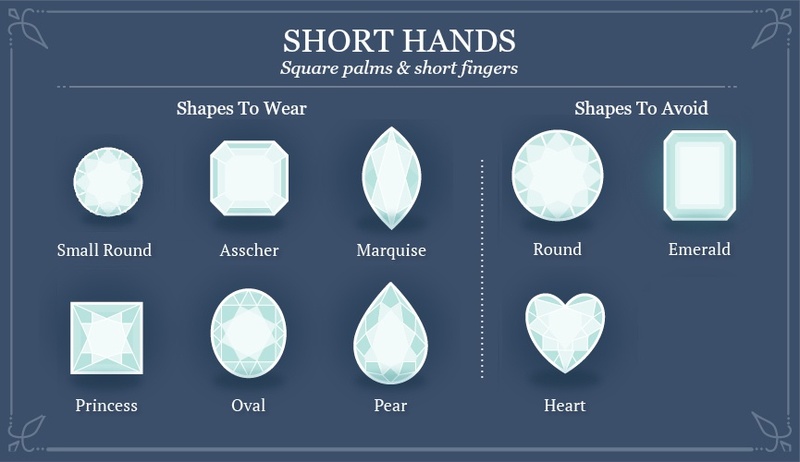 Smaller sized diamonds look bigger on short hand shapes than they do on long, wide, or thin hand shapes, so the diamond will look appropriately large on her hand. Don’t pick bulkier cuts for her little finger. 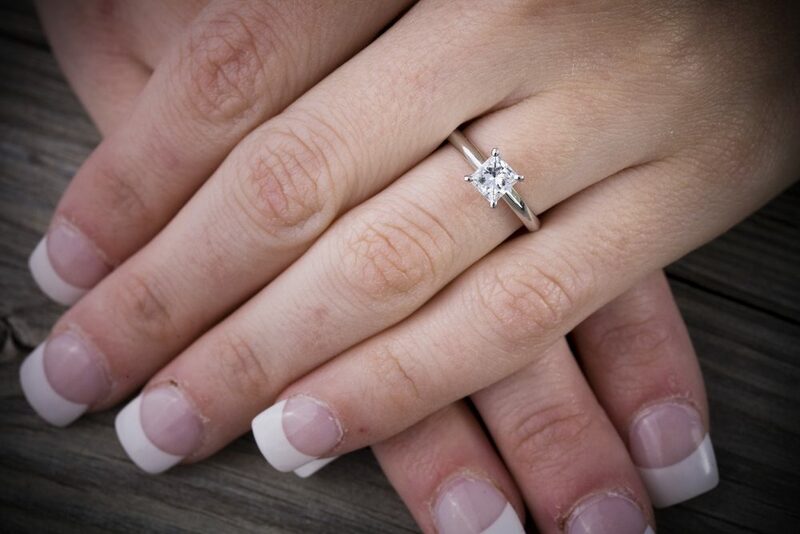 A bride with rectangular palms and long fingers has many options, because long fingers accommodate many different diamond shapes. Round and princess diamonds tend to be the most popular choices, but if she is a little less traditional, an emerald could be the one. Long fingers also allow you to explore options that are off the beaten track, like an asymmetrical-set oval cut diamond. A woman with broad palms and wide fingers has more room for a heftier diamond. If she fits this hand type, it’s best to find the cut that allows for minimal skin to show on both sides of the rock because this will slenderize the finger. Don’t pick dainty shapes that will appear too frail for her strong hand. A cluster of diamonds makes a wide finger look slim! Ladies with wider fingers have more room to play with, which can be fun. She can pull off a larger carat size than the average engagement ring, a rock cluster, or something a little bolder. 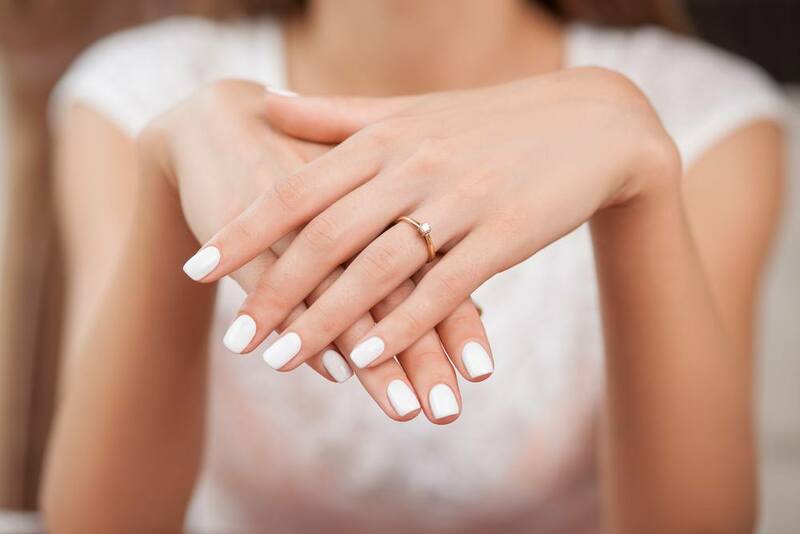 Trying to determine which rings flatter a woman with oval palms and narrow fingers is like trying to see which clothes looks good on Gisele Bundchen, pretty much everything works! Because of this, focus your choice of shape based on her sense of style and fashion preferences. Is she classic? Go for a round or princess cut? Is she edgy? Try the emerald cut. Also note that many people make the mistake of buying too many carats for a slender finger. You don’t want to give her premature arthritis, so think about proportion. Ultimately, the diamond most flattering for her finger will be the diamond that is given with love. When you put your heart and soul into picking the perfect diamond shape, she’ll know, and be proud to show off the diamond you picked just for her.